If you were to take a straw poll of the animal most closely associated with Australia, it's a fair bet that the koala would come out marginally in front of the kangaroo. Instantly recognisable by its large fluffy ears, spoon-shaped nose and bright button eyes, the koala is an undeniable drawcard at zoos and fauna parks, an advertising icon and the inspiration behind millions of soft toys, games and gimmicks. Today we see this species as an icon, a valuable attraction at Australian zoos and fauna parks and a species sought after by zoos around the world. But has the koala always been so popular? What makes the koala so special? Indeed, if it is so special, why is it considered by many to be vulnerable to extinction in much of its traditional habitat? Australia's Aborigines acknowledge the koala's significance to their day-to-day lives in a wealth of Dreamtime stories. These legends tell how the koala lost his tail and why he has so little need of water. 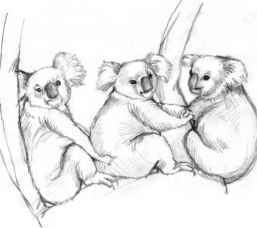 Many of the stories of the early European settlers portray the koala as being sly, or secretive, which perhaps explains why the settlers did not discover it until almost ten years after the first fleet arrived. When Europeans did come across this strange native creature, they credited it with many bizarre habits, in an endeavour to relate it to more conventional arboreal mammals that they were familiar with. Strange as some of these accounts may seem to modern eyes, many of these early observations were insightful and provided the foundation for our current knowledge. Over the years, the koala has become one of the most intensively-studied of all Australian animals. An army of researchers such as Steve Brown, Frank Carrick, Robert Close, William Foley, Greg Gordon, Kath Handasyde, Dan Lunney, Roger Martin, Alistair Melzer, Peter Menkhorst and Hugh Possingham, to name a few, have devoted themselves to the species and revealing its secrets. Is the koala actually as slothful as it is portrayed? How does it survive, thrive even, on such indigestible fare as Eucalyptus leaves, laden as they are with enough toxic phenols to kill most other animals? Will koalas cohabit in groups or do they always prefer to be by themselves? Thanks to the research that has already been done, the answers to these and many other questions will be found in the following chapters. This is not to say however, that we now know all there is to know about the koala. There is still much to be learned about our koala and it will, no doubt, be the focus of much scientific interest for many years to come. The koala's appeal stretches far beyond the scientific community. Its undisputed popularity is also reflected in its starring role in advertising campaigns, songs, poems, cartoons, books and, now, video games. The koala's popularity has helped it to play an important role as an ambassador for Australia and as a great attraction for the Australian tourism industry. The koala's natural distribution along the east coast of Australia has been widened by its introduction on to more than twenty islands off the coasts of Queensland, New South Wales, Victoria, Tasmania and South Australia. Many of these translocations occurred as a result of genuine concern about the impact of hunting on existing koala populations but, as we will see, the koala's introduction to island habitats has often been too successful. Protected from its natural predators, koala numbers have risen unchecked and there is much ongoing and often acrimonious debate on how to manage these populations. The hunting that led to koalas being relocated in offshore sanctuaries reached its peak at the turn of the 20th century. Koala pelts were a valuable commodity in the international fur trade, with the soft, dense, waterproof pelts proving very popular in many overseas fashion and trade centres. Despite the eventual legislation that restricted hunting in the early 1900s, several million koalas had already been killed. Some of this new legislation unfortunately allowed open seasons which would become catastrophic to the koala. Many koala populations have never recovered from these events and the species came dangerously close to complete extinction. As a consequence of the fur trade, and habitat loss through land clearance, koalas will never be as numerous as they were at the end of the 19 th century. Indeed, continuing habitat loss, urbanisation, dog attacks and traffic casualties have taken such a toll that national efforts are now underway to conserve the koala. The species' long-term protection remains a highly controversial issue, as government agencies, scientists and conservation groups have often diametrically opposed views as to how best to manage our dwindling koala populations. One of the aspects of koalas that will be explored is the public attention the animals evoke—both within Australia and throughout the world. Though there are considerable differences of opinion at times between the scientists, government agencies and koala interest groups it is important to remember that all of these players are, ultimately, part of the same conservation team. The conflict appears to arise from different strategies proposed to achieve the same ends—the scientists tend to be more pragmatic; animal interest groups more idealistic and often emotional. These opposing views also come into conflict with the political approach of governments which have to balance the effects of different management options with the policies of other interested parties and the possible loss of votes caused by unpopular decisions. 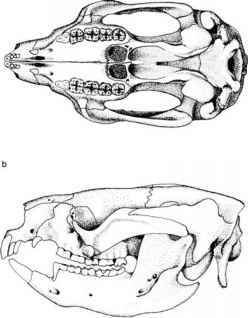 The koala existed side by side with Australia's Aborigines for thousands of years before the arrival of the first European settlers. By exploring the koala's origins, ecology and behaviour, and the threats that it has already survived, we can perhaps avert some of the dangers it continues to face. Why does the koala have such an immense appeal? Why are some countries so obsessed with the koala when so many of their own native species are under more immediate threat of extinction? For whatever reason, in many ways the koala has become a symbol for conservation, not just of a species under threat, but of Australia's native vegetation, which has been extensively cleared. For Australia's future then, we must be successful in conserving this Australian icon. What is a introduction on koalas? Why are koalas so popular? Who nwrote the koala fur trade?